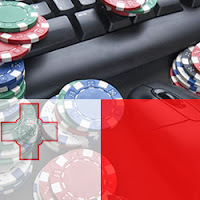 Tax News 17/12/2013: In the autumn of 2000 the Maltese government passed legislation enabling online betting centres to be set up in the country, and this legislation, coupled with provisions from the Income Tax Act written specifically for international companies, made Malta an attractive location for casino and sportsbook operations. Malta became the first EU member state to regulate internet gaming in May 2004 with its Remote Gaming Regulations under the Lotteries and Other Games Act 2001. A large number of companies from around the world expressed interest in Malta, including Stanley Leisure, William Hill, Ladbrokes, Paddy Power, Unibet, GC Sports, International Allsports, and Eurofootball; in 2012, PokerStars launched Pokerstars.eu under the group’s new Maltese license. Malta's economic policy encourages information technology operations, and the territory has invested heavily in state-of-the-art telecommunications. With the e-gaming sector using an estimated 50 percent of Malta's available bandwidth, there are now four high-capacity fibre-optic submarine cables linking the island with mainland Europe. As a result of this investment, there are already a number of Internet Service Providers in Malta, with clear interest being shown in...read on.